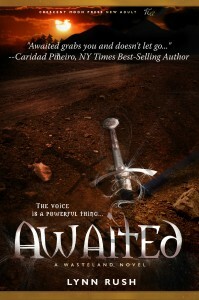 TAINTED, the final book in the Wasteland Trilogy, has a cover! I’m super excited, yet sad at the same time. Wasteland is coming to an end. 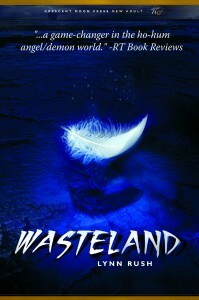 Back in September 2011, the ride began with Wasteland. Then May 2012 Awaited, and now….Tainted. January 15th is the official release date; however, I’m celebrating the release with a couple of fellow CMP authors on January 22nd, 2013. So, be sure to read on for details, because a Kindle Paperwhite will be up for grabs at that party! 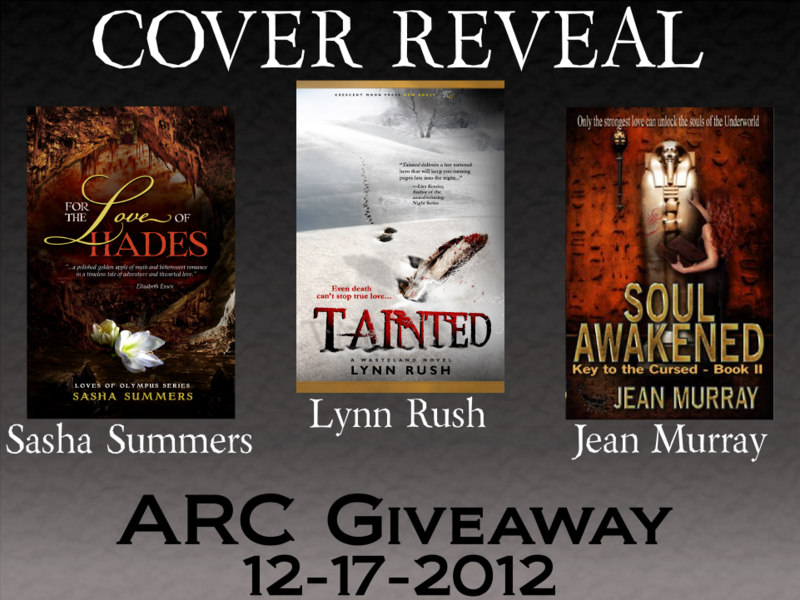 I’m sharing today’s cover reveal with those two, very special CMP authors, Jean Murray and Sasha Summers. Check out their awesome covers! Don’t miss the Giveaway…a great set of e-books and eARCs are up for grabs! Be sure to check out Jean Murray and Sasha Summers by clicking on their names!!! This entry was posted in Uncategorized and tagged #LynnRush, #NewAdult, angels, Crescent Moon Press, Demons, Giveaway, Jean Murray, Sasha Summers, Tainted, Tainted by Lynn Rush. Bookmark the permalink. I seriously LOVE this cover! Oh, and the lightning in the feather–didn’t see that before. SO COOL! Wow, great cover. I can’t wait to read it. Can’t wait to read it. Love the cover. I want to follow those footsteps. WooHoo! Glorious cover to close out the trilogy! So happy for you! Congratulations on another beautiful cover Lynn!!!! Loved the book! I hope it’s a big success for you!!!! Another wicked cool cover, Lynn! Congrats! Thanks Carrie. I’m super happy with it! !